All Packages Require a $25 Per Lane Non-Refundable Deposit at the time of making a reservation, which will be applied to the final bill. You may add additional lanes at the time of your party, if available. The only way to guarantee the lanes is to reserve your lanes in advance. Your child’s birthday party is scheduled for two hours, your party room will be available for the one hour it is scheduled. Because we have many parties following each other, you may not be able to get into your party room until the time it is scheduled. We suggest you tell everyone to be at your party 15 minutes before its scheduled time so everyone will be here and ready to bowl on time. For proper supervision we suggest that you have a minimum of 1 adult for every two lanes. And for everyone’s safety, if a ball gets stuck on the lane and needs to be retrieved, no one (adults or children) should cross the foul line onto the oiled lane itself to get the ball. Notify the control counter and an employee will retrieve the ball for you. Our staff will assist you with your party by helping you put names in the scorers, bringing your food to your party room and with setup and cleanup, but it is your responsibility to actually run your child’s birthday party. Most of all HAVE FUN! Be sure to check out our menu for your party and event with us! 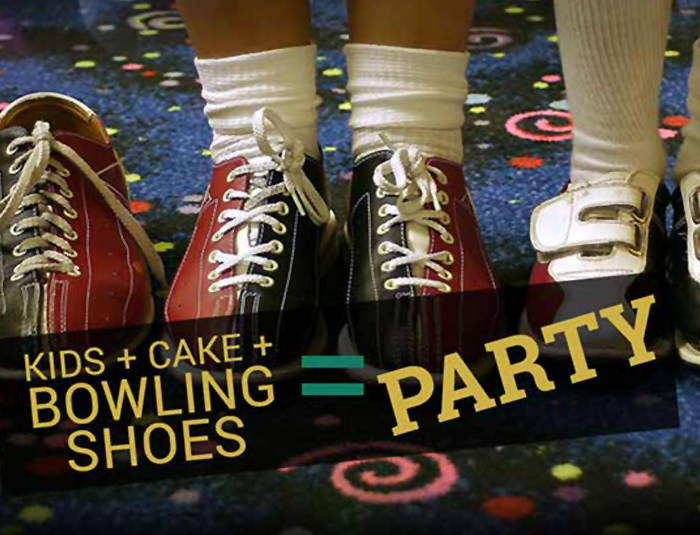 Blackhawk Lanes offers room rentals for your event, party or business meeting. To learn more, visit the link below.